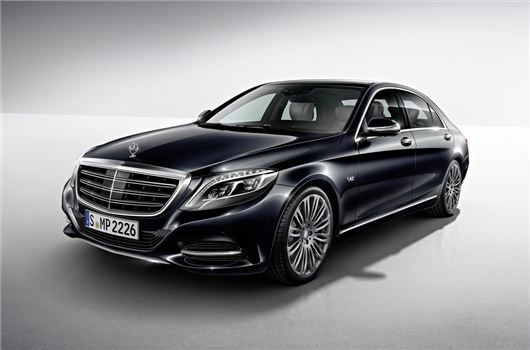 Mercedes-Benz has launched its flagship luxury model, the S600. Powered by a V12 biturbo engine it comes exclusively as a long wheelbase model designed to combine ultimate luxury with huge performance. It goes on sale in March and will cost even more than £120,000 S63 AMG. The new S 600 has a larger engine than its predecessor - up from 5.5-litres to 6.0-litres - while power has increased. It now has 530PS with a mammoth 830Nm of torque. It also features an engine start/stop system although claimed economy is still only 25.4mpg. Along with a host of luxury kit, the S600 also comes with cutting edge Mercedes-Benz technology including Magic Body Control with Road Surface Scan, which as the name suggests, scans the road ahead and adjusts the suspension to best suit. There is also an LED Intelligent Light System and a Driving Assistance Package with active lane keep assist, active blind spot assist and brake assist with cross-traffic assist. Meanwhile, from March, all new S-Class models will come with an optional touchpad that allows drivers to control the functions of the head unit using fingertip gesture as with a smartphone. The touchpad means you can write letters and numbers in any language that is available on the head unit. A head-up display is also available as an option as is an electric heated windscreen. Other changes include Collision Prevention Assist being replaced by Collision Prevention Assist Plus. Along with adaptive Brake Assist system, which helps to protect against collisions at speeds of over 4 mph, the system is now able to carry out autonomous braking at speeds of up to 124 mph, thereby reducing the severity of collisions with slower or stopping vehicles. The system also brakes in response to stationary vehicles at a speed of up to 31 mph and is able to prevent rear-end collisions at up to 25 mph.